This week we are going back to basics. Some of you might be new to a skincare routine, or you might want to learn a bit more about how to manage your skin type. Today we are going to cover skin types, how to care for them and give you some insider hints and tips for happy, healthy skin. Let’s start with the very basics of skincare. If you feel like you’re never going to complete a fancy, 12-step skincare routine then here are the three things you really need to do. If you do them in the shower every morning you won’t even need extra time in your routine. Firstly, we start with cleansing. Your skin is subjected to all sorts of dirt, oil, makeup, food and everything in between on a daily basis. To have healthy skin you really need to wash all that off every day, otherwise you end up with blocked pores and skin breakouts. If you keep the Proactiv Cleansing Body Bar in the shower then you can clean your whole body in seconds. Then, you need to moisturise your face. Keep your favourite in the bathroom by the sink and put it on as you’re drying off. You also really need to wear a sunscreen as Australia’s UV rays are some of the strongest in the world. To cut down on the steps invest in a great moisturising sunscreen like our Oil-Free Moisturiser with 15+. So how do you know what your skin type is? Well here are some tips to identify your skin and what type of moisturizer is best for your skin type. 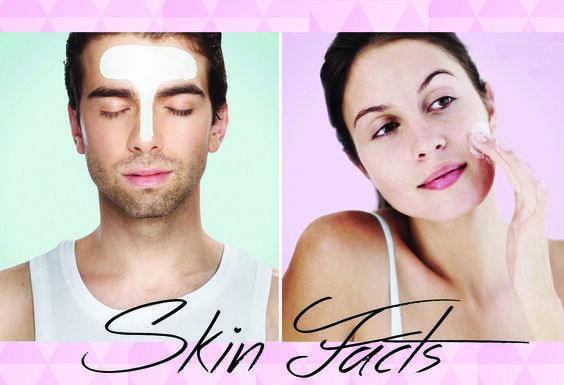 You have oily skin if you have large pores and you find your face getting shiny a short time after you have cleansed. If this is you, then we suggest including an oil-free moisturiser into your routine. If your skin is often itchy, dry or feels tight after cleansing then you most probably have dry skin. To hydrate it, we recommend using a good moisturiser with essential oils to sooth your skin. Try our Proactiv+ Complexion Perfecting Hydrator, a silky-rich moisturiser formulated with a moisturising and skin conditioning complex to help alleviate dryness, leaving skin much more softer and smoother. Do you have dryish skin but an oily ‘T-Zone’? The ‘T-Zone’ is your forehead, nose and chin. This is a very common skin type and it can be treated using a heavier cream on your cheeks but a lighter, oil free one on the ‘T-Zone’. You just need a light, general moisturiser - but don’t forget that SPF! If you have sensitive skin then you should opt for a gentle moisturiser with no parabens or oil and that is hypo-allergenic. If you are prone to skin breakouts you need oil-free moisturiser and to remember to cleanse and tone every day. Dirt and oil can cause breakouts so to keep your skin clear Why not try the Proactiv 3-Step System which has the tools you need to get breakouts under control. We hope this helps you establish a great skincare routine for life and gets you into some good habits. Next week we will be talking about how your skin changes as you age.